With interest rates increasing, more and more homeowners are turning to extensions, not upsizing, to give them some much needed space. In fact, nearly twice as many people in the UK feel that extending their home is a smarter choice than moving to a new house. And it’s easy to see why when you consider the cost of legal fees, mortgage changes, Stamp Duty and moving costs, plus the ever-increasing price of property; staying put and improving your current home makes a lot of financial sense. The costs of an extension may pale in comparison to those associated with moving house, but they can certainly be daunting on first inspection. As with most things, the overall cost of an extension will depend largely on what you are trying to achieve. Size, location and the type of extension are just some of the factors that will significantly affect the final cost. The price of a one storey extension in Scunthorpe is going to be very different to the cost of a two storey extension in London. We’ve put together an explanation of the various factors that can affect the cost of an extension as well as give you an idea of how much you can expect your total budget to be. Single storey – this type of extension usually takes the shape of rear or side extensions. If you only plan on extending the ground floor of your house, you can expect to pay around £1,200 to £1,500 per square metre for just the build, or £1,400 to £1,900+ per square metre in and around London. For an average extension of 4 metres by 5 metres, that works out to roughly £27,000 for a typical UK extension or £35,000+ in London. Once the professional fees and VAT are taken into consideration, the final cost of a single storey extension can reach £35,000 on average or £45,000+ in London. Two storey – The average total cost of a two storey extension is approximately £55,000 or £70,000, depending on your proximity to London. Two storey extensions generally cost less per square metre than single storey extensions, as the cost of materials for structural support such as the foundations and the roof is shared between the two storeys. However, the bigger size and complexity of a two storey build can make it more difficult to get planning permission compared to single storeys, and will typically incur larger fees from professionals such as architects and structural engineers. Basement – typically more expensive than single or two storey extensions (and very fashionable in more affluent parts of London, at the moment) it’s the groundwork that bumps up the cost here. 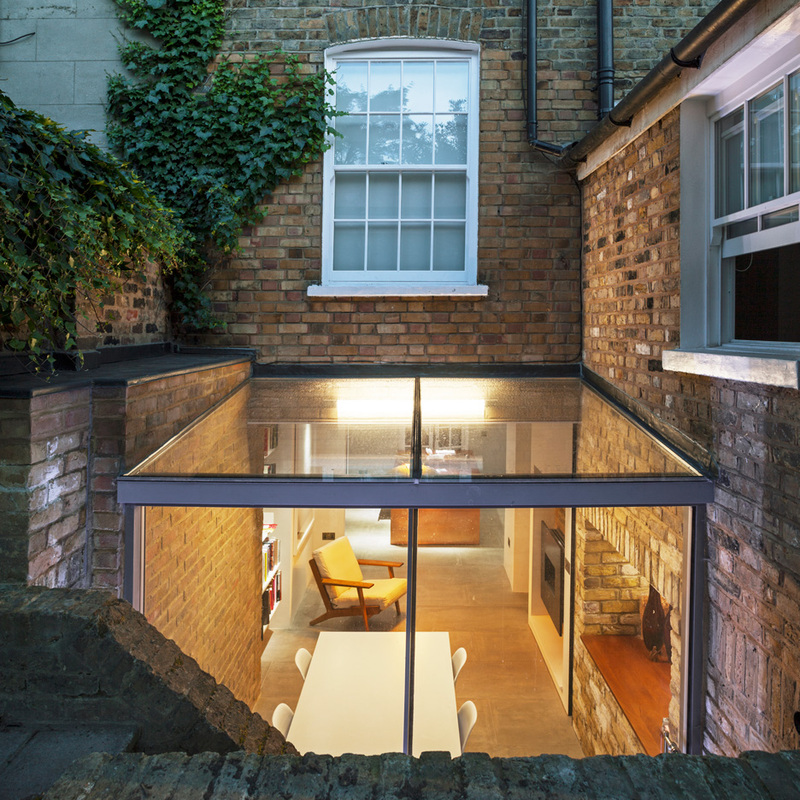 The structural complexity of extending or converting a basement can see work costs start from at least £2,500-£3,000 per square metre on average and anywhere between £4,000 and £5,000 per square metre for properties around London. What is the function of the extension? Bathrooms – incorporating a mid-range bathroom into your extension will add about £5,000 to your total costs. This includes the cost of the usual suspects of a toilet, sink, bath and shower, but prices will largely depend on the finishings and fittings. Kitchens – a more complex operation, the additional cost of a conversion with a kitchen will start at around £10,000. As with the bathroom costs above, this number is based on a mid-range kitchen and, as ever, the actual cost will vary depending on the quality you want to achieve. With both bathroom and kitchen extensions, building plans need to take plumbing, electrics and, in the case of kitchens, gas works, into account if they are to meet planning permission standards. It’s always a good idea to get these done properly which, although it can be costly, significantly improves the chances of your application being granted. What’s more, professional installation ensures the efficiency of your extension and ultimately the safety of your home. You can’t put a price on that! Construction – as detailed above, without doubt the single largest cost when building an extension is, unsurprisingly, the build cost. This includes all building materials and labour costs. As a percentage of total extension cost, build cost varies from about 50% to 60% and rises to around 80% when VAT is added. Architect – integral to the extension process, architects turn your extension idea into reality. Their detailed plans ensure accurate quotes from builders, and their knowledge of the ins-and-outs of project risks and local authorities streamlines the planning application process. Architect rates vary from business to business, so it’s worth getting quotes from several practises. At Resi, our Planning Package starts at £720 per floor, providing home design and management of your planning application. Other professional fees – depending on the ambition of your extension and the characteristics of your property, it may be necessary to employ the services of additional consultants. Your architect will be able to advise on exactly who you may need. For example, many extensions require the services of a structural engineer to assess the foundations of a property. This can cost in the region of £500 to £1,000. At Resi, we offer a connect service which means you’re introduced to the most reputable professionals in your local area to take your project forward. Planning – one of the very few fixed costs when building an extension, the standard planning fee will cost you exactly £206. However, you may not even need planning permission if your extension falls within your permitted development rights. In which case, your extension will need to be authenticated with a lawful development certificate. These certificates cost £103 and, although not obligatory, will prevent problems in the future, especially when it comes to selling your house. More information on the different types of planning fees that may be applicable to your extension can be found on the planning fees guidance page of the Gov.uk website. Insurance – probably one of the most overlooked aspects of an extension project, it is always a good idea to let your insurance company know about any planned work. Some home insurance policies will not cover your house while building work is taking place, so get in touch with them to find out. If you are not covered, you will need to take out an extra insurance policy for the duration of construction. The extra cost of insuring your extension will obviously add to your budget, but it will not break the bank and you’ll definitely benefit from the peace of mind. VAT – tax is always a hard cost to swallow but it does have to be paid. Extensions of most types are subject to the full rate of VAT, which is currently at 20%. However, there are certain circumstances that can lower the rate of tax. These include work that improves the energy efficiency of elderly peoples’ homes, converting a non-residential building into a house or flats and, most commonly, when a residential property has been vacant for over two years. Depending on the exact details of each development, VAT can be reduced to as low as 5%. Budgeting for an extension can make the whole thing seem daunting, especially now you know how quickly costs can mount up. However, carefully planning your extension and facing these costs head on is the best way to ensure your extension project runs as smoothly as possible. Having a realistic idea of how much your extension will cost and how long it will take will allow you to budget efficiently and develop a contingency plan. You will be much better placed to tackle any unforeseen circumstances and potentially costly bumps in the road to creating the extension of your dreams. Still have more questions? Book in a free consultation call with our experts for advice on extension costs, planning permission or any other aspect of the extension process. Likewise, if you are planning an extension on your current home or looking at the extension potential of a new house, get an instant quote today.